Here are our Spots and Strips Pool Balls. These Pool Balls are standard two inch in size with a 1 inch 7/8 white Ball. 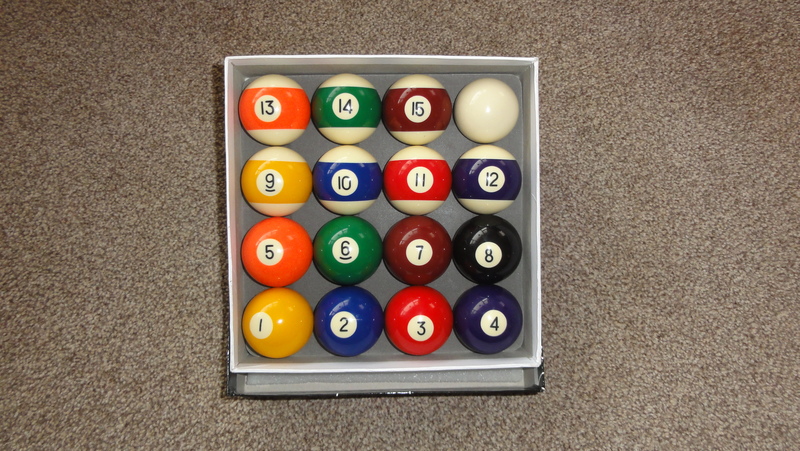 Customer can play these balls on English and American Pool Tables as seen in pubs and clubs throughout the UK. They are traditional spots and stripes patterns including the White cueing ball and the Black ball.